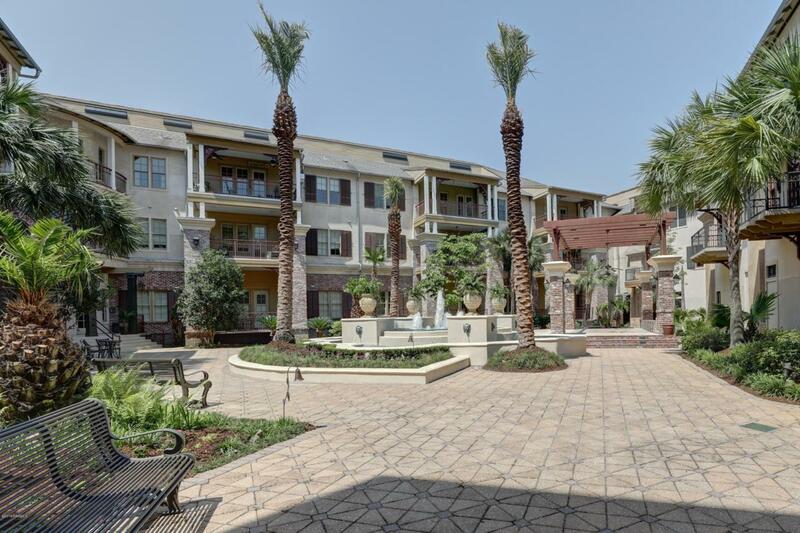 Imagine listening to the sounds of Rhythms on the River in prestigious River Ranch with your own seats perched from your balcony at the exclusive luxury Carriage House Condominiums overlooking the stage! Yes one of these units facing the Degaulle Square is now up for grabs! This spacious 1808 two story unit features professionally decorated interior boasting custom cabinetry and granite counter tops in the kitchen and bath areas, wood flooring, custom closets in the bedrooms. This condo features a spacious second floor master and ensuite with separate shower and tub and double sink vanity, large guest bedroom and bath and bonus area for use as a work out area or office.What this condo offers that no others in Lafayette offer is concierge service plus 24 hour security, City Club Preferred Resident rates, City Club restaurant delivery to your door, 2 reserved parking spots under the secured parking garage. Carriage House is the ultimate in luxury living in the heart of Lafayette. Seller will cover the first 2 years of HOA dues!